The world of international trade—intricate, dynamic, interest-driven—is Stephen’s professional stage, where he assists U.S. global companies and foreign businesses. Stephen’s practice encompasses all aspects of international trade, particularly trade relief and regulation. 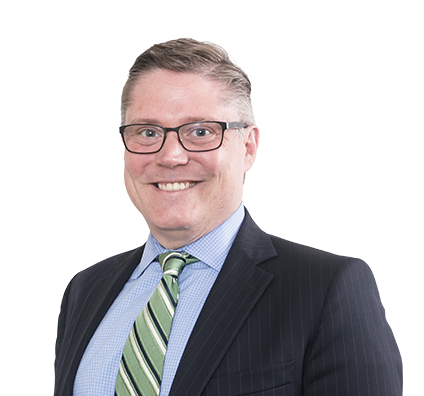 Clients value his seasoned guidance on antidumping and countervailing duty proceedings, international trade agreements, export controls and economic sanctions. He is also experienced with customs issues, including tariff classification, valuation, country of origin marking matters and U.S. Customs and Border Protection enforcement activities. He is a staunch advocate for clients before the U.S. Department of Commerce, U.S. International Trade Commission, U.S. Court of International Trade and U.S. Court of Appeals. To best serve clients’ interests, Stephen learns the details of their business—and the competition’s—including global operations. His work regularly takes him to China, Japan, Thailand and Europe for clients in industries such as agricultural commodities, steel, consumer products, chemicals, pharmaceuticals and plastics. He keeps up with changing laws and helps clients understand their effect. Unfairly priced foreign competition threatened the business of U.S. agricultural producers. Stephen’s team prepared an antidumping petition and represented the client before the U.S. Department of Commerce and the U.S. International Trade Commission. We argued that significant import tariffs should be imposed on the client’s competitors. The agencies agreed, which allowed the U.S. industry to continue production and return to profitability. Represented U.S. importers in trade remedies investigation leading to negative determination by U.S. International Trade Commission, which ensured clients would not face additional tariffs on imports. Assisted United Arab Emirates steel producer in antidumping and countervailing duty proceedings before U.S. Department of Commerce to successfully mitigate amount of duties imposed. Successfully represented multinational corporation in litigation against U.S. government, resulting in refunds of duties wrongfully imposed. Obtained favorable ruling for multinational corporation to ensure its imports were not covered by scope of antidumping and countervailing duty order. Successfully assisted U.S. importer in mitigating liabilities related to violations of import laws. Counseled multinational corporation on customs compliance. Obtained favorable rulings for U.S. importer regarding classification of goods. Assisted U.S. corporation in filing allegations of competitors' customs violations. Guided compliance with export laws and regulations for corporation doing business in Middle East. Counseled multinational corporation on Office of Foreign Assets Control (OFAC) sanctions issues. Assisted companies in lobbying Congress to eliminate tariffs on products not produced in the United States. Advised company on lobbying executive agencies and U.S. Trade Representative for changes to Pharmaceutical Appendix to the Tariff Schedule. United States Exempts South Korea from Section 232 Steel Tariffs in Exchange for a Quota? When Stephen wants to have fun, he heads with his family to Nationals Park, where they see as many baseball games as they can. Stephen also likes hiking on local paths outside Washington, D.C., and spending days with his wife, son and daughter at the beach near Stone Harbor, New Jersey.